As we all have seen the news and we are discovering more and more devastation and loss, our thoughts and prayers are with the people affected by these storms. In times such as this, the power of the human spirit is humbling and strong. The outpouring of love is ever-present and the generosity is evident. As these people reclaim their lives, our hearts are heavy as they carry the burden of losses. Many prayers for healing and rebuilding. THE COLLECTION ~ THE WOODLANDS, TEXAS ~ FINE FURNISHINGS AND MORE! FRESH PAINT CAN MAKE A HUGE DIFFERENCE! IRONMAN THE WOODLANDS 2011 ~ THE EXCITEMENT BUILDS! 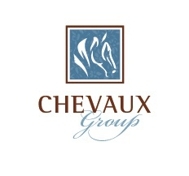 CHEVAUX GROUP ~ COMMERCIAL LISTING UNDER CONTRACT!